In commensurate with our size we not only have a diversified product portfolio, i.e. 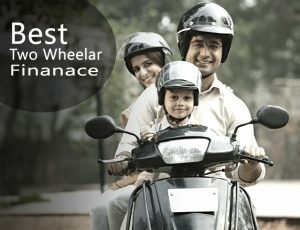 Two-wheeler finance and small Enterprise Finance, but our portfolio is also geographically spread across two different states i.e. Maharashtra and Rajasthan. We also have a long experience of serving diversified clientele of Rural and semi-urban region as well as Urban region. The senior management team compromises of young, dynamic and experienced professional’s including ex-bankers (from public and private banks) who has profound knowledge in their domain and has a strong work ethics. The dedication of our team gets reflected in the low levels of staff attrition. We have three layered filtration process. This includes credit verification at different levels and final approval from the head office. Our trained in-house team does the complete verification process and assessment of the credit worthiness of the borrower. We have a very humble and customer friendly approach for collection of overdue loans. Our in-house team is regularly trained on recovery and in tackling overdue loan customers. We refrain from using any coercive tactics and our process includes tele-calling, personal visits, legal actions, and continuous follow up for speedy and timely collection of installment. All the documentation related to our products are designed to minimize the hassles for the clients. Documents have been designed in a very simple manner keeping in view the low literacy level of its client segment. The terms of products are clearly defined and easy to understand. The procedures followed for loan processing and disbursements are uncomplicated.